To determine whether image texture parameters analysed on pre-operative contrast-enhanced computed tomography (CT) can predict overall survival and recurrence-free survival in patients with hepatocellular carcinoma (HCC) treated by surgical resection. We retrospectively included all patients operated for HCC who had liver contrast-enhanced CT within 3 months prior to treatment in our centre between 2010 and 2015. The following texture parameters were evaluated on late-arterial and portal-venous phases: mean grey-level, standard deviation, kurtosis, skewness and entropy. Measurements were made before and after spatial filtration at different anatomical scales (SSF) ranging from 2 (fine texture) to 6 (coarse texture). Lasso penalised Cox regression analyses were performed to identify independent predictors of overall survival and recurrence-free survival. Forty-seven patients were included. Median follow-up time was 345 days (interquartile range [IQR], 176–569). Nineteen patients had a recurrence at a median time of 190 days (IQR, 141–274) and 13 died at a median time of 274 days (IQR, 96–411). At arterial CT phase, kurtosis at SSF = 4 (hazard ratio [95% confidence interval] = 3.23 [1.35–7.71] p = 0.0084) was independent predictor of overall survival. At portal-venous phase, skewness without filtration (HR [CI 95%] = 353.44 [1.31–95102.23], p = 0.039), at SSF2 scale (HR [CI 95%] = 438.73 [2.44–78968.25], p = 0.022) and SSF3 (HR [CI 95%] = 14.43 [1.38–150.51], p = 0.026) were independently associated with overall survival. No textural feature was identified as predictor of recurrence-free survival. In patients with resectable HCC, portal venous phase–derived CT skewness is significantly associated with overall survival and may potentially become a useful tool to select the best candidates for resection. 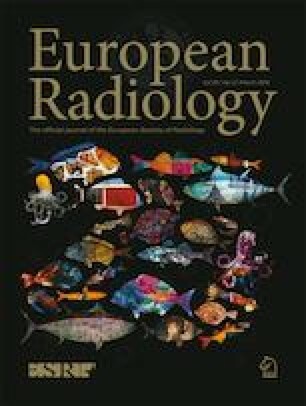 • HCC heterogeneity as evaluated by texture analysis of contrast-enhanced CT images may predict overall survival in patients treated by surgical resection. • Among texture parameters, skewness assessed at different anatomical scales at portal-venous phase CT is an independent predictor of overall survival after resection. • In patients with HCC, CT texture analysis may have the potential to become a useful tool to select the best candidates for resection. Lucie Brenet Defour and Sébastien Mulé contributed equally to this work. The online version of this article ( https://doi.org/10.1007/s00330-018-5679-5) contains supplementary material, which is available to authorized users. Two of the authors (A. Tenenhaus, PhD and S. Mulé, MD, PhD) have statistical expertise. Written informed consent was not required for this study. In accordance with French law, this retrospective study on medical records has been authorised by the Commission Nationale Informatique et Libertés (authorisation number 111 85 23), allowing the computerised management of the medical data at the Reims University Hospital. The participants were informed of the possibility of using the information concerning them, for biomedical research purposes, and had a right of opposition. Institutional Review Board approval was not required. In accordance with French law, this retrospective study on medical records has been authorised by the Commission Nationale Informatique et Libertés (authorisation number 111 85 23), allowing the computerised management of the medical data at the Reims University Hospital. The participants were informed of the possibility of using the information concerning them, for biomedical research purposes, and had a right of opposition.